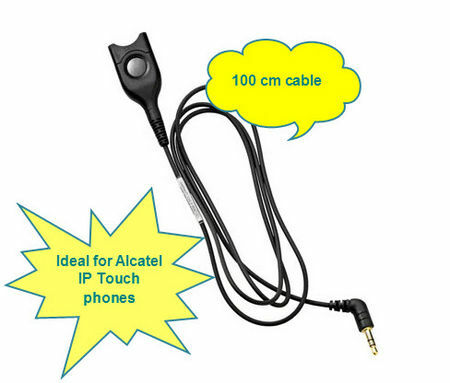 This cable connects your Sennheiser CCxx and SHxx headsets to suitable Alcatel telephones. It is a 100 cm cable which terminates in a 3.5mm 3 pole jack. The CCEL 193-2 is specifically designed to work with Alcatel IP Touch telephones such as 4018, 4028, 4029, 4038, 4039 and 4068. This cable will NOT work with iPhone or Blackberry. Use CBB01 for these smart phones.